Jump start your Adobe AIR Application Development with ANGLER and give your business a new face-lift. Adobe AIR enables creation of spectacular desktop applications based on the Adobe Flash platform. The Adobe AIR lets developers use proven web technologies to build rich Internet applications that run outside the browser on multiple operating systems. Adobe AIR is well suited to create business intelligence products, offline version of web applications, etc. Adobe AIR uses the same technology as Adobe Flex and in addition provides higher level access to local devices like file system, local databases, etc. ANGLER, a leading provider of RIA development services, has extensive experience in web application development services. Our Adobe AIR Developers have extensive experience in web application development services. Our dedicated team of professional Adobe AIR developers will help you leverage Adobe AIR to create and deploy feature-rich applications. We provide our clients assured benefits by way of user customization, enhanced productivity, wider market reach, higher ROI, and lower costs. 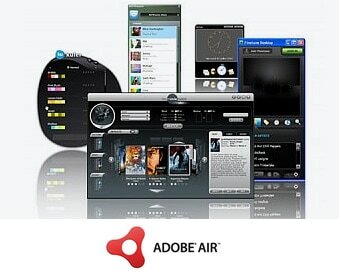 ANGLER can help you build the next generation applications using Adobe AIR. To know how ANGLER can help you in building Rich Internet Applications using Adobe AIR, please Request a Quote or Contact Us.